at Mayfield Road, Brampton. Vales of Humber by Mosaik Homes has a total of 68 units. Sizes start at 3950 square feet. The setting is ideal, the neighbourhood desirable and the home designs offer lavish living spaces inside and out. All this and so much more is what you'll enjoy when you live at Vales of Humber, Brampton's prestige new executive home community. This wide selection of 45', 50' & 60' impressive executive homes backing onto endless trails and serene ravines create the perfect tranquil atmosphere for your family to grow. This sough tafter neighbourhood is designed to surpass every need to create the desired lifestyle you deserve. Vales of Humber is also conveniently located just a short distance from all of life's amenities like schools, parks, fine dining and shops. Whether it's at the newly renovated Bramalea City Centre, Trinity Common or the many choices in downtown Brampton or Woodbridge, shopping and fine dining experiences are never far away. Easy access to highways 407, 401, 400 and 7 make getting around town a commuters dream. 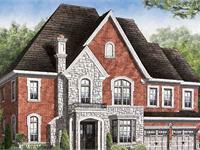 Don't miss your opportunity to live north of brampton in this prestige neighbourhood of executive homes. 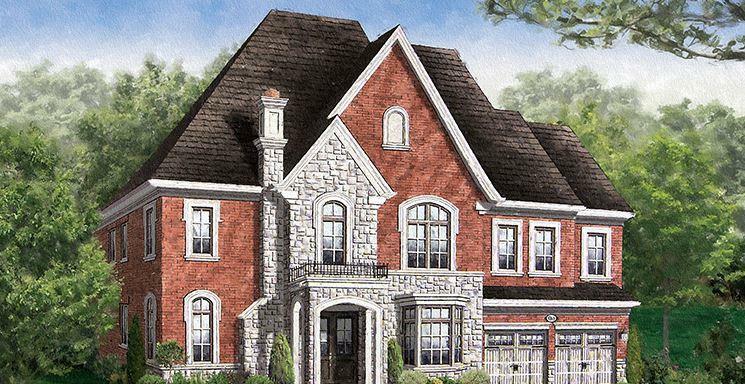 - Clay brick exterior with builder stone, 2ft precast detailing, stucco and brick archways, qoined corners, solider coursing, keystone, vinyl siding and column. Your inquiry will be delivered to the developer / builder of Vales of Humber by Mosaik Homes, who will send you more information about this development.